Courtesy of America’s Choice Realty LLC, Sheryl R Johnson. 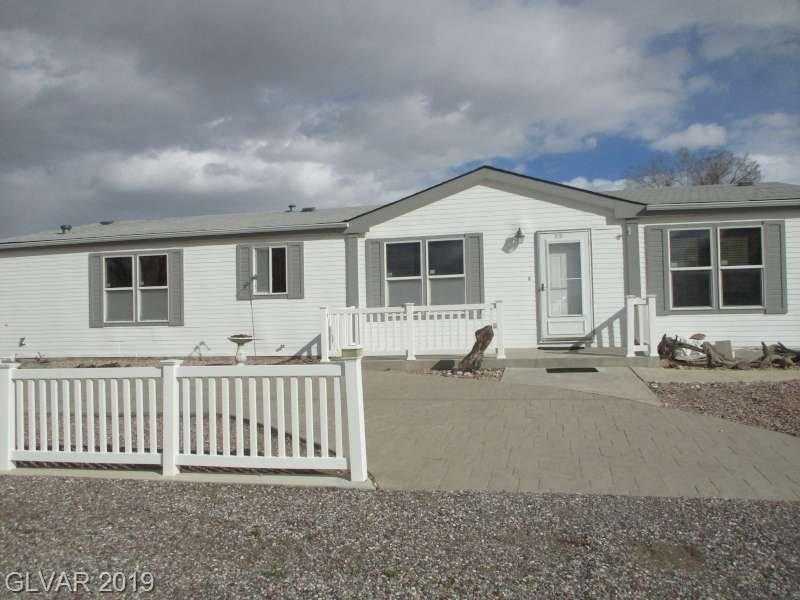 Cute & Cozy Manufactured Home located in Panaca, NV. 1,624 SF – 3 BR / 2 BA. Vaulted ceilings thru-out the open floorplan. Great kitchen with lots of storage! Large master suite separate from other bedrooms (garden tub!) Utility Room and Food Storage Pantry. Oversized two car garage and large storage shed. Low-maintenance yard.